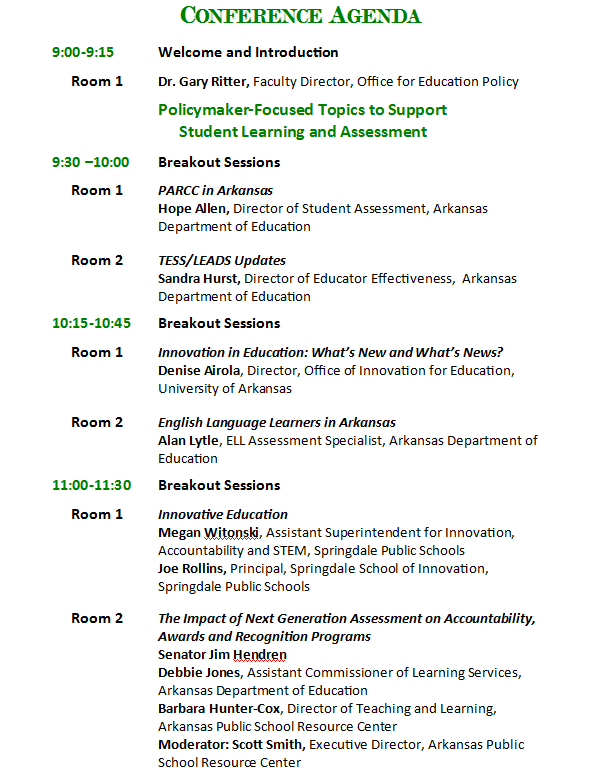 Full Agenda Available for June 10th OEP/OIE Conference! The full agenda is now available for the 2015 Office for Education Policy (OEP)/Office of Innovation for Education (OIE) Conference Student Learning and Assessment: Helping Students Gain the Knowledge They Need for College and Careers. 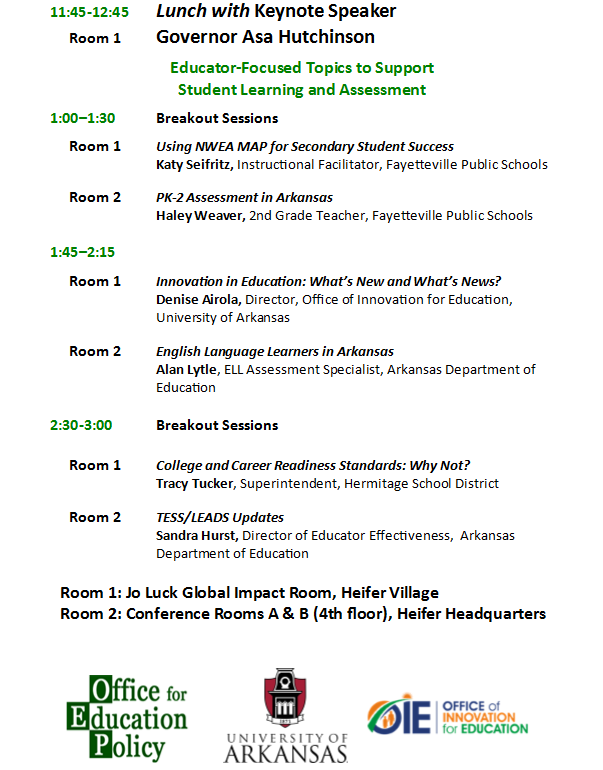 The conference will take place one week from today on Wednesday, June 10, 2015 at Heifer International in Little Rock. Register now! There is no cost to attend, but space is limited. Register now!